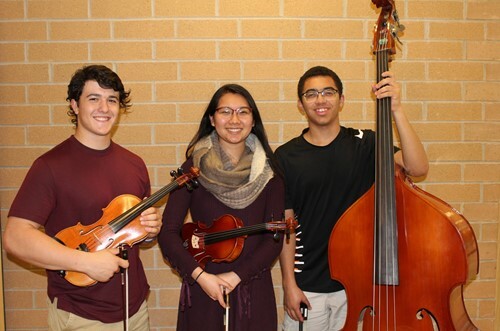 Three Bethel Park High School musicians successfully auditioned and have been selected to perform in the Pennsylvania Music Educators Association’s Honors Orchestra Concert, which will be held on Sunday, November 18 at Fox Chapel High School. Representing Bethel Park in this event will be seniors Kobe Coleman (bass), Vincent Vituccio (violin) and Jenelle Wu (violin). The students are taught by Bethel Park High School Orchestra Director Stephanie Glover.